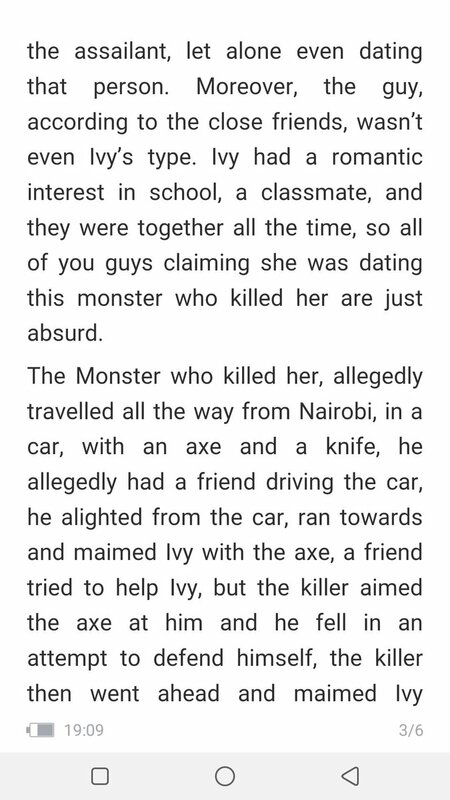 The tragic story of Ivy Wangeci, who was murdered in cold blood at Moi University, continues to raise more questions than answers. Why would one travel 350km just to kill an ambitious woman, who was aspiring to be a doctor? This is just one of the many questions lingering through the minds of Kenyans. 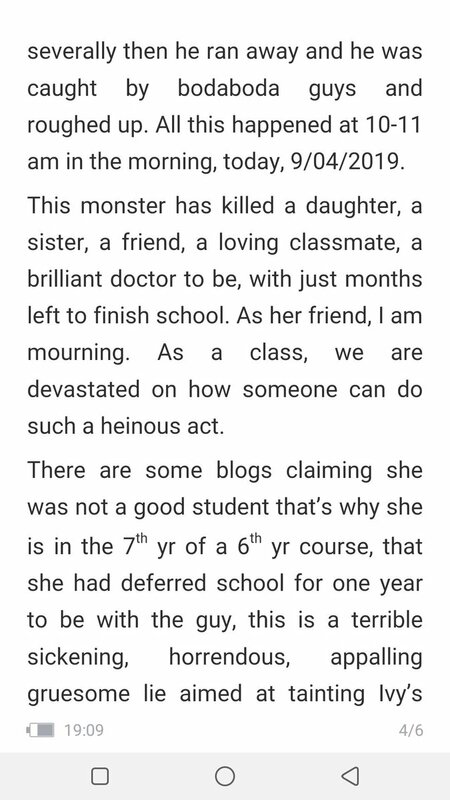 Rodgers Dan Abidha, Ivy’s classmate at the Moi University School of Medicine, has come out to clear the air on the controversial stories going around about his late classmate. He also refuted claims that she was in a love triangle with Naftali. He took to Twitter to share what he as a friend knows about the late Ivy, telling off those referring to her as a slay queen. 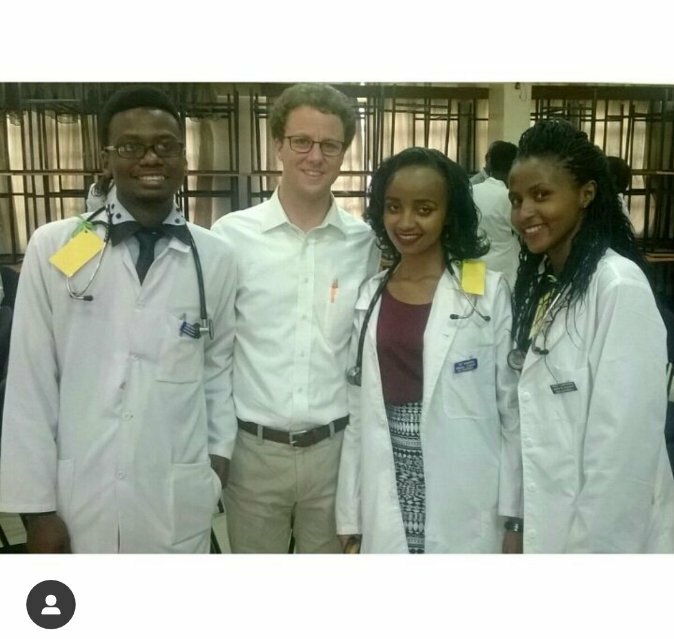 I’m a 6th-year medical student, at Moi University School of Medicine. I’m her friend, we are currently in the same rotation, mental health. Or I guess I should say I was her friend, . That guy has robbed the world of a brilliant doctor. So sad. 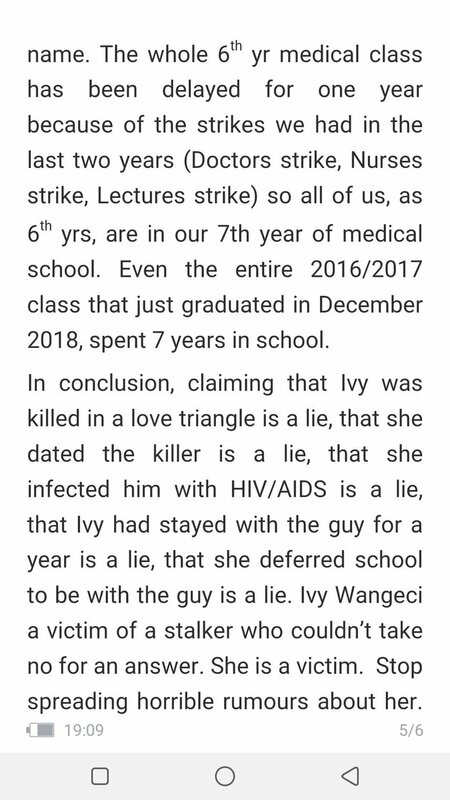 We (as classmates) have seen Ivy for the last 6 and a half years, from January to December, at our hostel and at the hospital, we know what happens to one of us. The guy has been stalking her vigorously for the last one year, she had to change a her number just to avoid this guy. 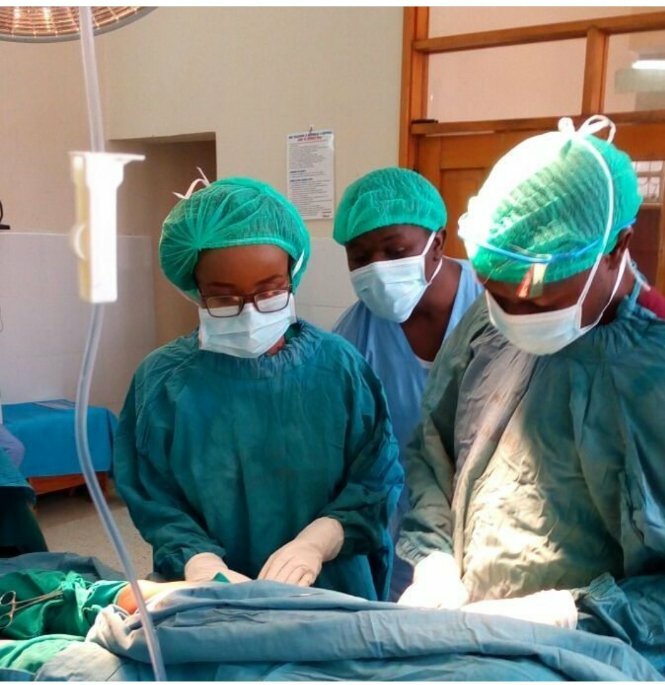 We are government-sponsored students, our fees is 30,000/= a year, on the highest end, to study medicine. rumours that the guy has been paying her fees are lies. Brayohadezm People like you are rare…defending your fallen friend. Society needs souls like you. Stand by her dignity.✊ My condolences . Battrana These are the kind of friends we need RIP Ivy. Breecee So sorry for your loss my brother and thank you for this. You have done the most you can do. Credibility yake will remain strong with you the people who knew her personally. The internet will always talk. Give yourself some time off. Patience This is what friends do. This is what I want my friends to do for me. Say who I was. Uzuri na ubaya usemwe. Ogwai Odira Whenever a woman gets murdered, the first probe by the society is always about her life, her choices, her actions. In the end, we make it look like her death was her own doing. Like she must have wronged him so badly the only fair punishment for her is death???? Toto_Arhie Even if the story has 27 sides, none of them justifies murder!! 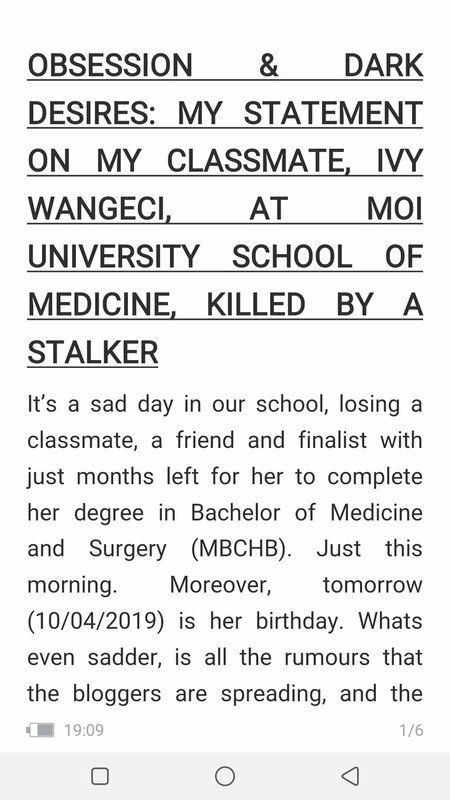 Wanjiku Stalkers are the worst, I have experienced one and trust me they know the victim inside out. Freaking but yeah they are capable of anything.